Note: Clockwork Angel is the Vampire Book Club group read for March 2011. We’ll be announcing the date of our group read chat shortly. Cassandra Clare knows how to give us what we like. Clockwork Angel is full of vampires, steampunk, urban fantasy and oodles of mystery. 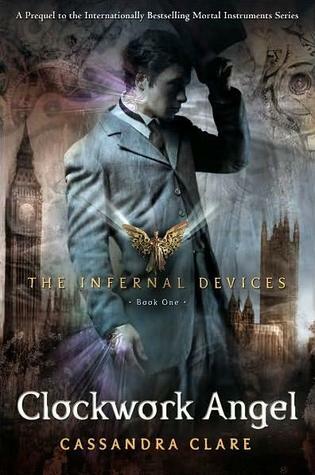 The first novel in The Mortal Instruments prequel series, Clockwork Angel is set in the same world of Shadowhunters (those who keep the law between Downworlders like demons, vampires and the like and humans). But book one in The Infernal Devices series is 100 years before TMI and in London. Tessa came to London from America. Her aunt just passed away and her brother, who recently moved to London for work, sent for her. However, things don’t go as planned. Upon arrival in London she’s kidnapped and told her brother is being held, too. She’s told if she doesn’t do as she’s told her brother will be murdered. She complies for his sake. Eventually, she finds herself in the care of the Shadowhunters, who agree to help her look for her brother. They’re sure Downworlders are breaking the law by taking him and will help her seek him out. But things are not as they seem, and Tessa has more power than she knows. Yet, she’s still human. Isn’t she? All the others at the Institute are orphans, too, and there’s this firm sense of family — even with the requisite bothersome little sister. Tessa isn’t sure she can trust them after her earlier experiences in London, but she doesn’t have any other options. The visuals in Clockwork Angel are very strong. You’ll picture yourself inside the walls of Dark Sisters’ home. You’ll imagine walking down the hallways of London’s Shadowhunter Institute. You’ll bite you lip seeing a clockwork automaton the first time. And you might just get taken away by the surprising beauty of a nighttime walk in foggy London. It’s not a quick read (it edges up near 500 pages), but with such a finite and encompassing world it’s easy to drop yourself into any character’s shoes in Clockwork Angel. 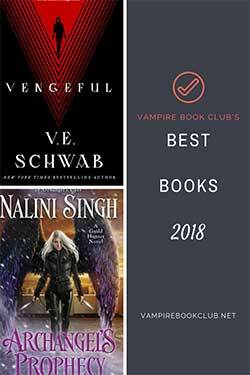 In short, with Clockwork Angel you’ll get Shadowhunters, snarky guys, strong women, deviants (human and vampire), cool transformations, vampires, magic, romance and even see a parasol used as a weapon. 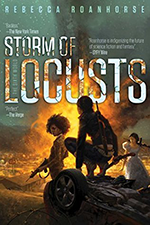 Clare continues her reign as a queen of YA urban fantasy. Bonus: You do not need to have read any of The Mortal Instruments novels to read Clockwork Angel. So, dive in! I have this but haven’t read it yet. Thanks for sharing! I just finished The Mortal Instruments the other week and I’m really looking forward to Clockwork Angel. Your review makes it sound very exciting!